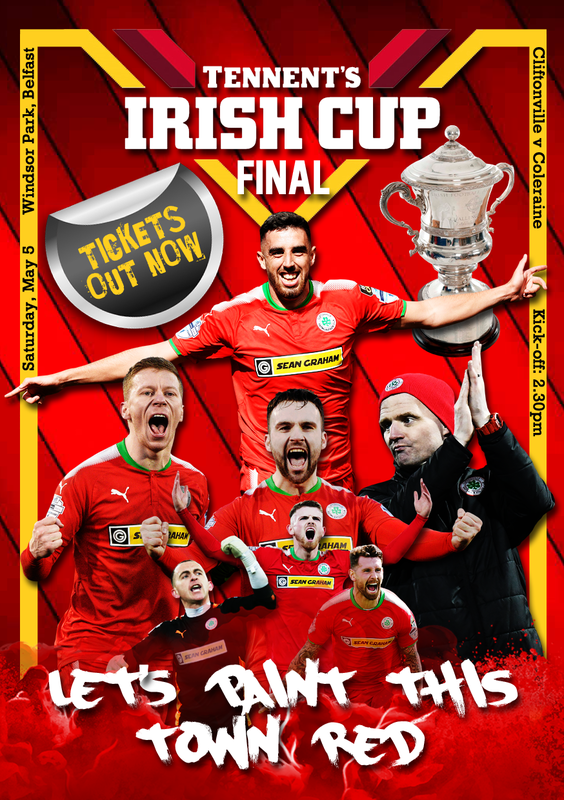 Have you spotted our Irish Cup Final poster in a shop window while you’ve been out and about? 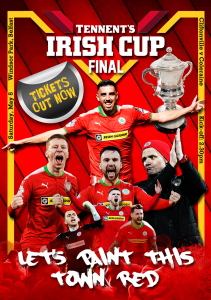 Less than a fortnight remains until Cliftonville face Coleraine in the eagerly-anticipated Windsor Park showdown and the Red Army have been helping to spread the word near and far by sharing our poster with friends, family and work colleagues on social media over the last few days. 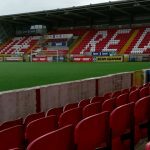 With ticket sales ongoing from both Solitude and Ticketmaster, we want to know if you’ve chanced upon the poster on a community noticeboard in your area or on the wall of your favourite pub. Have you brightened up your workplace or placed one in the window of your car? 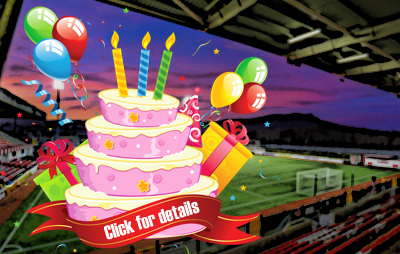 Has your local chippy, cafe or coffee shop got involved – or maybe you’ve been able to convince your school to get behind the Reds in the countdown to the big day? Whether you’ve stuck the poster up yourself or merely seen one on your travels, Red Arnie wants to know. 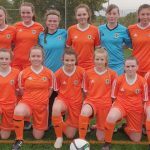 Take a picture and share it with us on Twitter, Facebook or by emailing redarnie@cliftonvillefc.net – and we’ll feature the best ones, with extra special praise reserved for the most obscure and unlikely locations! 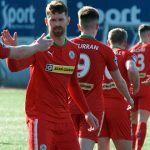 So get your thinking caps on and let’s see how far we can spread the word that Cliftonville are determined to paint the town Red on May 5!